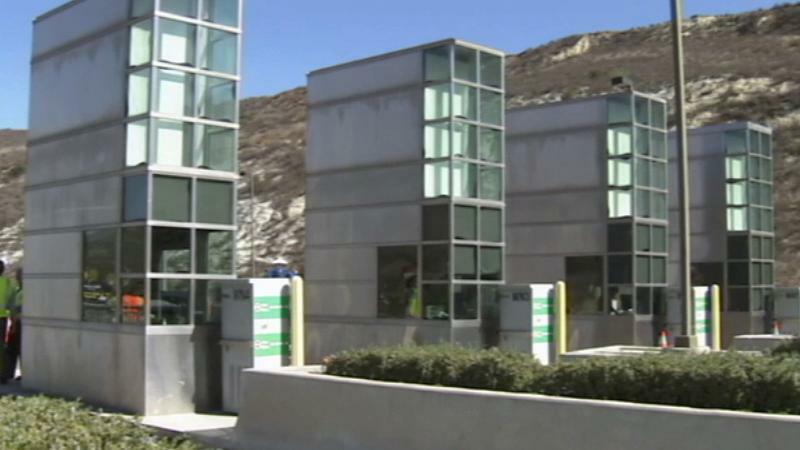 Cash toll booths on Orange County's toll roads have been closed since May 14, 2014. Drivers on Orange County toll roads are getting a 30-day grace period if they forget to pay, officials announced Monday. Those who use the 73, 133, 241 and 261 toll roads without paying first will have their penalties waived through the Labor Day holiday as long as tolls are paid within 30 days. Only first-time violators may take advantage of the moratorium. The Transportation Corridor Agencies, the organization that operates the 51-mile toll road network, stopped collecting cash at its toll booths on May 14. The grace period is meant to inform drivers of the electronic payment options. Drivers can create a prepaid FasTrak account to receive a transponder that can be used on every toll road in California; establish an ExpressAccount that charges each toll to a credit card, prepaid account or sends a monthly invoice; or pay within 48 hours online or through a mobile app. "Hopefully, this additional time will help riders understand the toll changes so they can choose the personal payment method that works best for them," said Todd Spitzer, a county supervisor and Transportation Corridor Agencies board member. About 250,000 people use Orange County's toll roads every day to avoid traffic. About 87 percent pay with a FasTrak or Express Account. The new cashless system will save TCA more than $13 million over five years, according to officials.